We’re happy to report multiple sightings of the Power of the Primes Prime Masters Wave 1. For those out of the loop, these figures are the successors to the Titan Masters assortment – small 2cm tall robot figures with accessories that interact in various ways with larger toys. The difference this go round is that the accessories are “decoy suits”, aka Pretender shells. Yes, Hasbro has found a cool way to homage one of the weirder gimmicks of the latter years of Generation 1. Wave 1 of the Prime Masters includes Micronus Prime (demoted to Micronus for this release), Liege Maximo, and Vector Prime, or if you go by their shells, Cloudburst, Skullgrin, and Metalhawk. Photo proof for this story comes via Filter03, who spotted the figures alongside the Voyagers in Illnois. 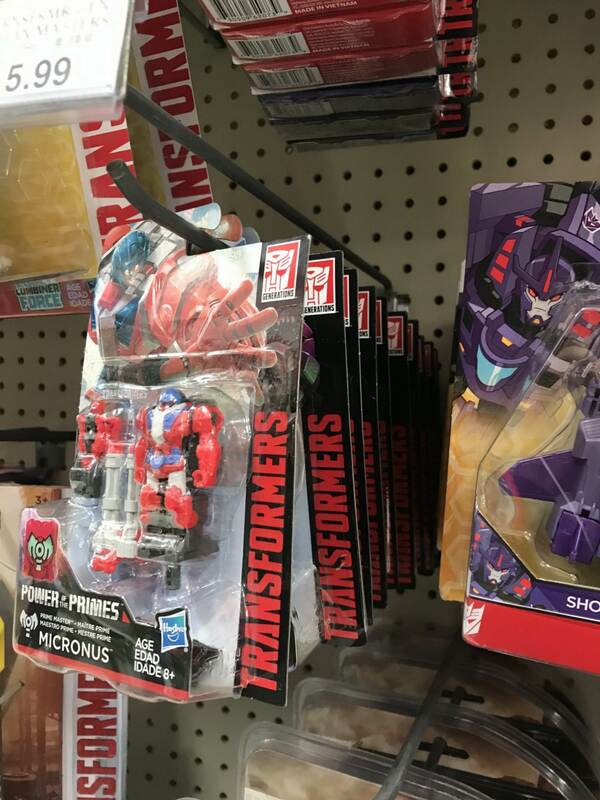 Shoutouts go to TFW2005 staffer Foster and member Redikulous who reported finding the assortment in Minnesota, and Dylvatron2005 who spotted the figures in Colorado. The common thread uniting all of these sightings is that every one spotted the assortment in Toys R Us. 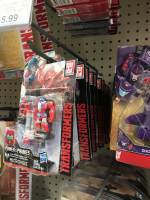 That’s the store to start checking for all things Power of the Primes, friends. Happy hunting! Is there a way to look online for TRU in-store stock? I know Brickseek works for Walmart & Target, but i was just at one TRU yesterday (only POTP deluxes) and i don't want to drive 10 miles in holiday traffic and crowds just to find nothing but TR and movie toys…. Texas as well – I just found them at one of the TRUs in El Paso. I wonder…..I wonder if the decoy suits can fit inside their pretender namesakes ?